Silleuksa is located along a riverside village overlooking blue water and a spacious sand beach on the edge of the river running south, running from Mt. 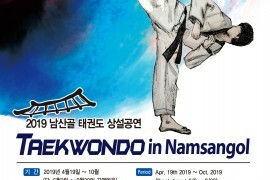 Bongmi to the Yeo River. 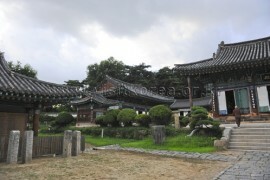 It is said that Silleuksa was built by Monk Wonhyo during the reign of King Jinpyeong in the Silla Period, but it is not for sure. Silleuksa Temple’s name was said to originate from a legend that an uncontrollably swift horse was reined up by the power of god. 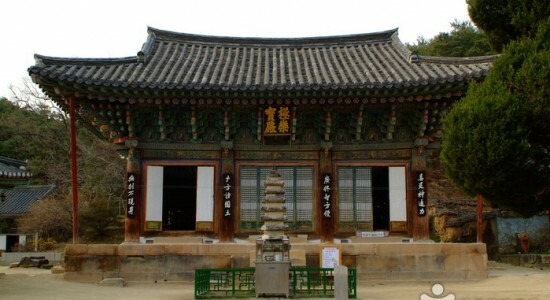 Inside the temple is Josadang, the temple’s oldest building; Dancheungjeon-tab, a tower made of mud bricks; Daejanggakgibi; Bumjonggak; and at the heart of the temple stands Geuknakjun Hall (Hall of Paradise). Gangwolhun, located along the riverbank’s cliff, is Silleuksa Temple’s, one of the most popular sights for couples, where tourists can view the Han River in the south and its surrounding scenery.